I awoke with a sick feeling in my stomach this morning. A week today I’ll be in London and running the Marathon. What was I thinking when I entered the ballot?? Seriously though, it’s been a hell of a journey and, whilst I’ll be glad to have the marathon behind me. I’m now a runner and want to continue with improving my fitness. This time last year I couldn’t run more than a few yards and was just starting on the Couch to 5K training program. fast forward 12 months and I have a half-marathon under my belt and have run 18-miles. I still find that hard to believe. Although I secured my spot through the ballot, I decided early on that I’d try and use the opportunity to raise some money for charity. I’m delighted to report that I reached my £2k target last week and, with an off-line donation of £500 from The TechLounge and taking into account Gift Aid, the total has surpassed £3000. I’m thrilled that so many of you have supported me and my chosen beneficiaries, the National Autistic Society. If you want to chip, you can do so here. Now, with 7 days to go I’m busy finalising all the kit, transport and hotel arrangements. My running kit is almost sorted, the finer details depend on what weather we face next Sunday. After 6 months of cold, rain, snow and ice, the long range forecast is threatening a mini heat wave so that could prove very interesting and will mean a lot more hydration is required than I’ve been used to in training. The hotel was booked months ago. 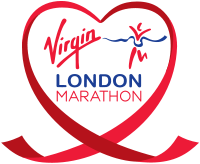 I booked with a specialist operator that runs marathon packages. That means there are reps at the hotel, a meet’n’greet with other runners in the evening at a pasta party and a good breakfast on race morning. They also have a coach to take me from the door to the start, so no messing with public transport. Anything to remove some of the stress is good in my book! An issue I hadn’t considered is packing. I’ll be travelling to the hotel on Saturday afternoon on my own withy my wife, daughter and parents will be travelling into London on Sunday. I can’t decide if I should pack light and take it all with me on race day, which means cramming everything I need into the small runners sack that they issue you. This is handed in at the start, Virgin transport it to the finish where you collect it. Or, pack normally, have the hotel store it when I check out in the morning, and then have the hassle of having to collect it after the race, when I’ll doubtless be hobbling! As for other kit. I have a running belt that has two drinks bottles and a pouch for my iPhone. I also now have a battery backpack so I can keep the phone powered up for the five+ hours I estimate it will take me to complete the course. I’m using a live tracking app called Where M.I. to broadcast my progress so having enough battery power plus some in reserve for finding family at the finish was important. I’ll also be using a Garmin Forerunner 610 GPS watch to record my run and keep track of pace/distance etc. All that remains now is for me to do three more gentle, short distance runs to keep everything ticking over. Also have to go to the race Expo on Thursday at Excel in London so I can register, get my race number, tracking chip and kitbag. On Sunday morning I’ll tweet the tracking link and post it to Facebook so that anyone who wants to follow me can do. I won’t be breaking any records, I’m predicting 5 – 5.30h but, given the pic below was my leg not so long ago I’m happy I’m able to run at all.